Kidneys are the filters of our body as they filter out waste products from blood and eliminate toxins from body. Thus, they help in keeping our body clean and free of toxins. Kidneys also play an important role in balancing levels of fluids in the body and take part in regulating cellular functions. Kidney function test evaluates presence of any renal disorders, checks for presence of kidney stones and reveals the answer of the question- whether the kidneys are functioning properly or not. 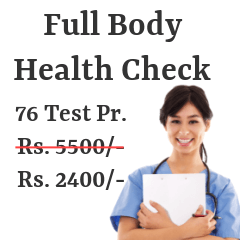 Here, is the list of medical centers in Pune where one can undergo kidney function tests. 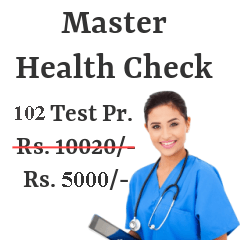 The list provides complete details about price estimation of the test and addresses and contact numbers of the pathology centers. 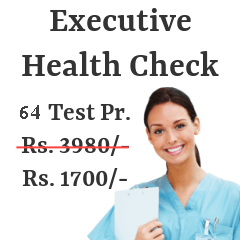 Choose the diagnostic center that caters to your requirements and budget. Following are the KFT / RFT centers from most reputed pathology / radiology labs in Pune. Vasantika Society, Gnd. Flr., Paud Rd. Shop No: 6, Akshay Palace, Warje Malwadi Rd. Near Santosh Hall, Next to AXIS Bank ATM, Sinhagad Rd., Anand Ngr. 3rd Flr. Hermes Kunj, Behind Wadia College, Above Vodafone Store, Mangaldas Rd. Bilwanidhi 1394, Shukrawar Peth, Bajirao Rd. Kidney function tests are blood and urine tests. Blood test like Blood Urea Nitrogen (BUN) test checks for the presence of nitrogenous and waste products in blood. If these waste products are found in blood in high amount, it shows that kidneys are not functioning properly. Urinalysis also checks for presence of proteins in urine sample. Protein in large amount in urine is an indication of kidney disorder. If the above mentioned indications continue for long period of time, it is better to book your appointment with a nephrologist (doctor who specializes in treating kidney related disorders) as early as possible. Hydration is of prime importance to keep kidney diseases at bay. To remain hydrated, consume lots of water and fluids like fruit juices, coconut water, etc. Increase intake of foods that are rich in fiber like cruciferous vegetables (cauliflower, broccoli etc. ), cucumber, carrots, green leafy vegetables etc. If you rigorously follow above tips, your kidneys will be thankful to you.